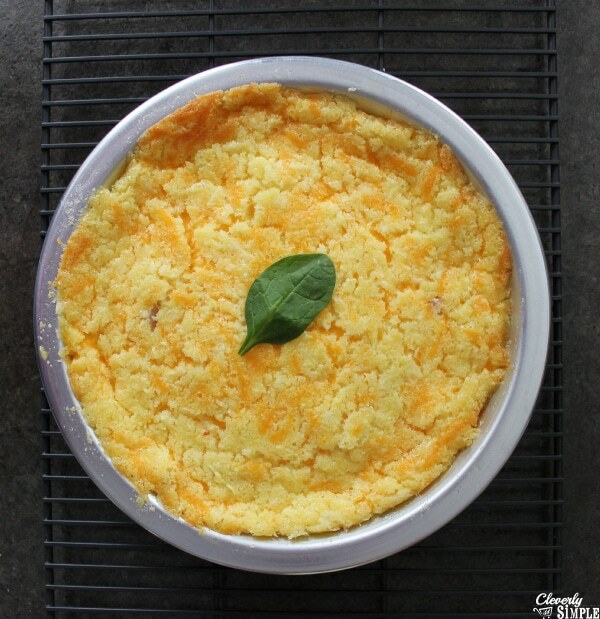 This is the best quiche recipe! Why do I like it? Not only is it tasty but you make it in a blender! Somehow making it in the blender makes it so much easier and to be honest, so much more fun. I found this recipe in the recipe box I received at our wedding. It’s another winner on how to make a quiche! Before I jump in with the “how to make a quiche”, I wanted to show you the very cute recipe card I received. It’s typed. I just love that and the history that it holds. 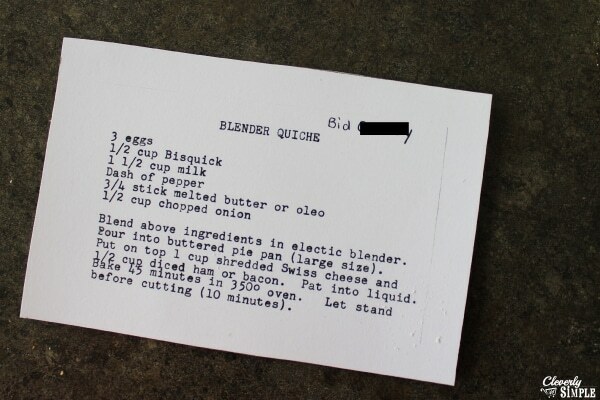 I think about someone sitting at their typewriter, writing out the words to this simple recipe. **You could very easily change this to bacon or use another type of cheese. I do love using ham because it’s easy to get one slice of high quality ham at the deli. 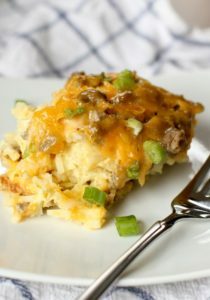 This would also be a great recipe for leftover ham from Easter! Butter a deep dish pie plate. You could probably also use cooking spray, but I like to use butter whenever I can. 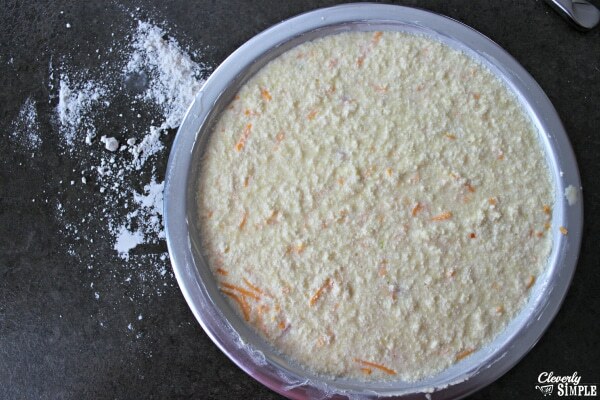 To easily do this, I put about 1/2 Tablespoon in the pie plate. I then put my hand in a little bag and smooth the butter all over. When I’m finished I just dispose of the bag and my hands are clean! 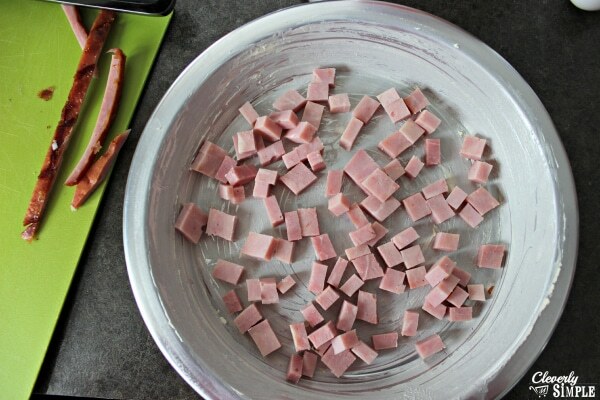 Add the diced ham to the greased pie plate. It’s now time for some fun! 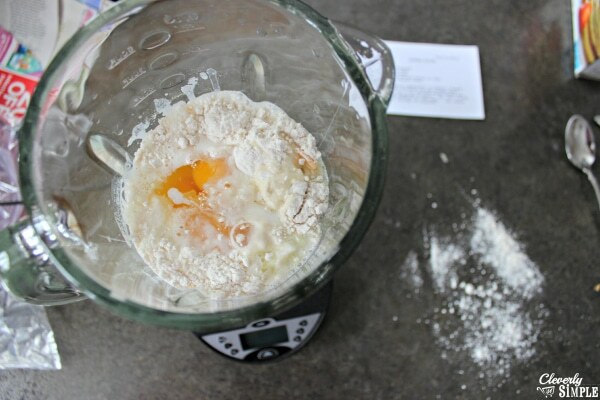 Add the bisquick, eggs, milk, butter and onion to a blender. Blend well. **Make sure to MELT the butter first. I did not do that step (whoops!) which is why it’s all crackly in the final product. It still tasted amazing but save yourself the look and melt the butter first. Pour the blended quiche into the pie plate. 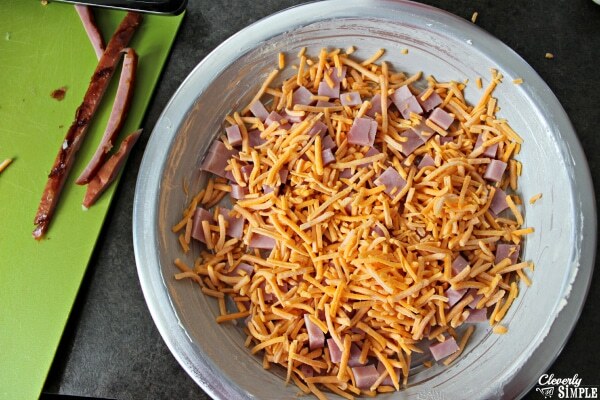 The cheese and ham will float a bit to the top. There’s no need to stir. Sooooo easy! 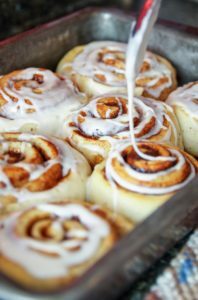 Bake for 45 minutes in a 350 degree oven. This quiche is sooo delicious! Again I think the crackly top is because I didn’t melt the butter, but it could also be from the bisquick. Either way, it tasted amazing and that’s all that counts in my book! 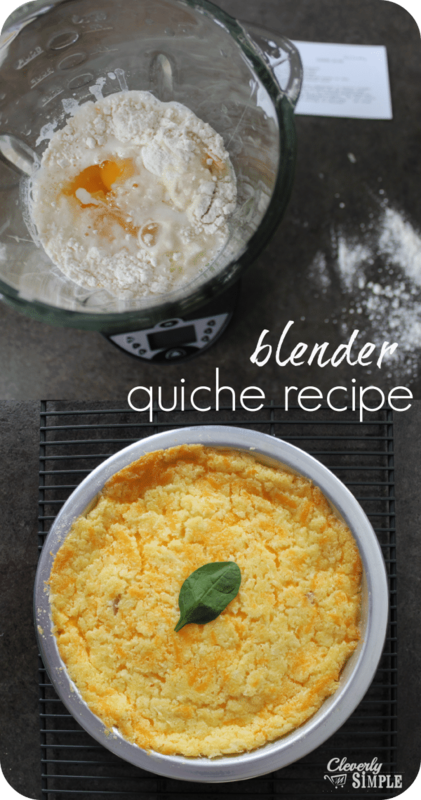 Make the best quiche ever in the blender! Butter a deep dish pie plate. 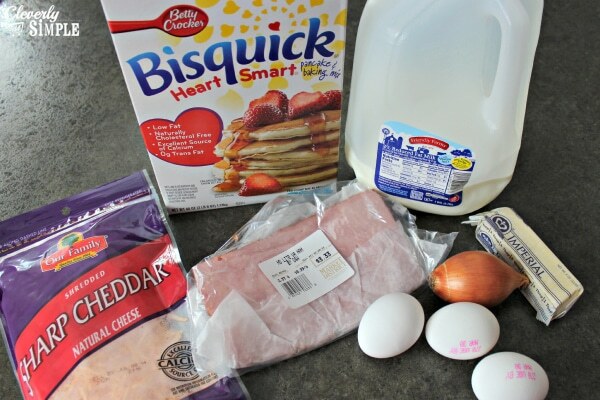 Add the bisquick, eggs, milk, melted butter and onion to a blender. Blend well. Pour the blended quiche into the pie plate. 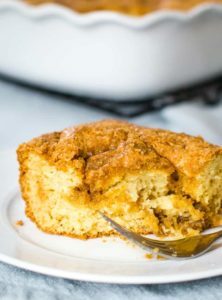 I have a recipe almost identical to this that we love and mine always has that crackly look. 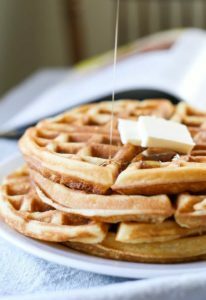 I think it just comes from the Bisquick and everything being blended so I don’t think your un-melted butter had anything to do it. My recipe calls for bacon but I like the ham variation. Might have to try that with my leftover Easter ham.